Playa Provisions is the kind of spot that’s just perfect for dining at any time of day, really. The beachside location in Playa del Rey contributes to the pleasurable experience, but it’s the four-dining-concepts-under-one-roof that make you feel like you’ve landed in dining paradise. Choose between their coffee and pastry counter, the ice cream shop called Small Batch (but really you want a large batch of their home-made ice cream! ), sit down dining with full bar and fire pits on the patio, or the hidden Whisky Bar in the back (when you visit without the kids). Having four concepts under one roof might seem excessive, but its really just a way to please everyone in your family. Playa Provisions also rents bicycles! 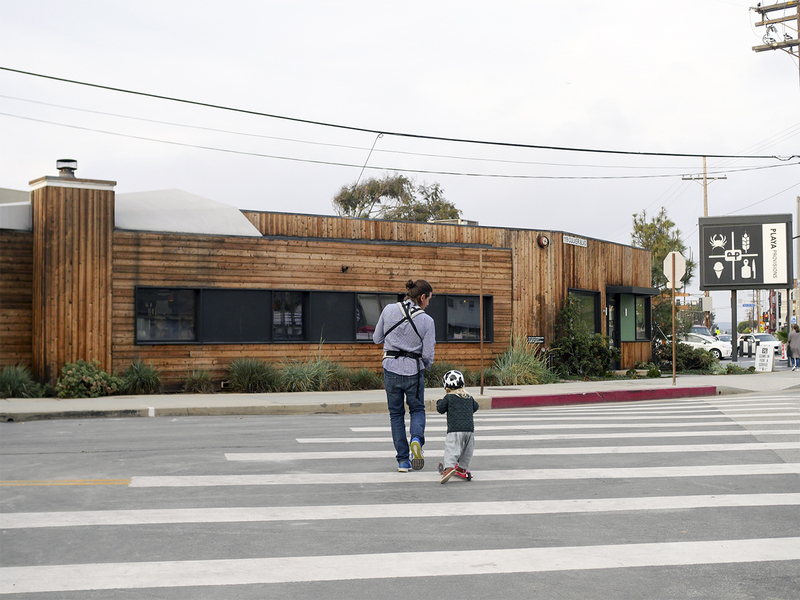 The beach bike path is just across the street from Playa Provisions. 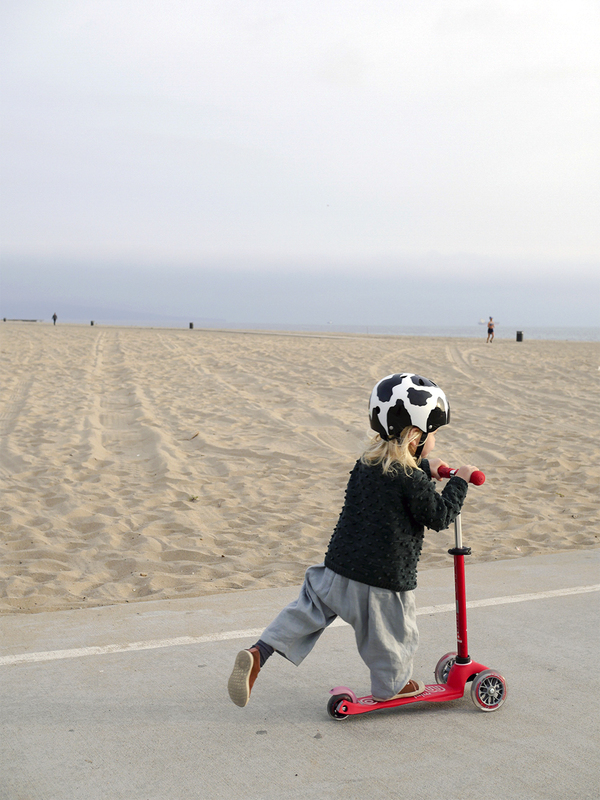 Go by bike, go for a walk… or by scooter!